Imaging Informatics: How Do You Know It's the 'Right Test'? Ordering the correct exam for the correct circumstances is the guiding principle of evidence-based imaging. Determining what those circumstances are, however, requires a little bit of intuition and a significant amount of data. So how can researchers and clinicians determine whether radiological exams are being used appropriately? "There are a reasonable number of gray zones, so to come up with an absolutely definitive answer to that question is going to be elusive, if not impossible," says Richard Duszak, MD, the chief medical officer and a senior research fellow of the Harvey L. Neiman Health Policy Institute. "That being said, I think there are ways that people can look at certain areas where there are some very specific criteria, and use those as best research surrogates of appropriateness and as benchmarks for comparison." Because there are many different diagnostic imaging tests and numerous conditions that could warrant those tests, Duszak says it's useful to study areas where there are wide variations in utilization. In those cases, it's more likely that one subset of clinicians will be over- or underutilizing a given exam. In a study published in the January 2015 issue of JAMA Internal Medicine, Duszak and his coauthors from the Neiman Institute looked at the difference in diagnostic imaging utilization rates between advanced practice clinicians (APCs) and primary care physicians (PCPs). The authors studied a random sample of 5% of Medicare beneficiaries. They used claims data and limited the scope of the study to outpatient visits when the patient had no other clinical contact for 30 days or more. They chose outpatient imaging because there are fewer confounding factors in that setting and it is easier to determine who ordered the imaging. The study found that APCs were 30% more likely to order more diagnostic imaging exams than a PCP. The authors wrote that while it "appears modest for individual patients, this increase may have ramifications on care and overall costs at the population level." The claims data don't provide answers as to why APCs ordered more diagnostic imaging but do provide some clues. Duszak suspects that the rates are influenced by whether an ordering clinician is dealing with a familiar medical condition. He points out that APCs actually ordered less diagnostic imaging for upper respiratory infections, a condition they're likely to see often and for which there are well-defined diagnostic imaging guidelines. In more complex scenarios, they were more likely to order imaging. "What I think is probably at play here—and it applies as much to APCs as physicians in general—is that when individuals, whether physicians or APCs, are practicing within their comfort zone of expertise, in areas for which established guidelines exist, there's going to be a lot less variation in the use of imaging, other tests, or other services than in areas where people are practicing in territory that's somewhat less familiar to them or those in which guidelines are less clear," Duszak says. Understanding differences in utilization is important for providing the best possible patient care, but it also adds to the body of knowledge that will influence the parameters of value-based care. With the US population aging, visits to general practitioners are increasing, while the number of PCPs is decreasing. APCs are reimbursed at lower rates than PCPs, but higher rates of image ordering may mean that a visit to an APC is no less expensive to the health care system than a visit to a PCP. "We, as a country, are getting into a lot of policy discussions about health care delivery systems," Duszak says. "Many discussions focus on the appropriate use of APCs, and a lot of people believe that we need to expand the use of APCs. I think [this type of research] provides significantly more information about how APCs fit into the overall equation of health care delivery and how to use them best." Duszak says more research is needed to help guide policy decisions in the coming years. He and his coauthors have identified additional questions that they feel are worth exploring, all of which require moderate-sized to large data sets. 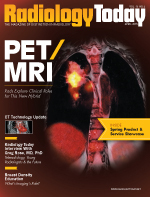 They are in the process of prioritizing their research agenda, but two areas that they plan to explore are a case-by-case review of APC and PCP imaging utilization in several common scenarios and break-even points for the health care system in various cases where diagnostic imaging is ordered. Duszak says this type of data aligns with the Centers for Medicare & Medicaid Services' (CMS) decision support initiative, which was set in motion with the Protecting Access to Medicare Act of 2014. His research is geared toward identifying the clinical situations that can benefit most from decision support. While there is still much research to be done, Duszak says a good place to start for imaging decision support is with the ACR Appropriateness Criteria that have been developed by expert panels. These criteria were used to develop the ACR Select decision support platform. Although still in its infancy, decision support will become a more prominent feature of health care delivery. Beginning in 2017, providers who order advanced imaging will be required to consult decision support criteria. Duszak thinks that change will help narrow practice gaps. For people who are practicing within recommended guidelines, decision support will reinforce their ordering practices. For those who are dealing with clinical conditions outside of their comfort zones, it will provide ongoing, real-time education with references to existing guidelines. "Our work [at the Neiman Institute] actually supports the decision support initiative by CMS," Duszak says. "[It reinforces] that it's probably a good idea to move forward [with decision support], and it may wind up saving the health care enterprise some money, moving forward. And, I think, another important aspect is that it will ensure that patients get the right care at the right time, with the least radiation dose."